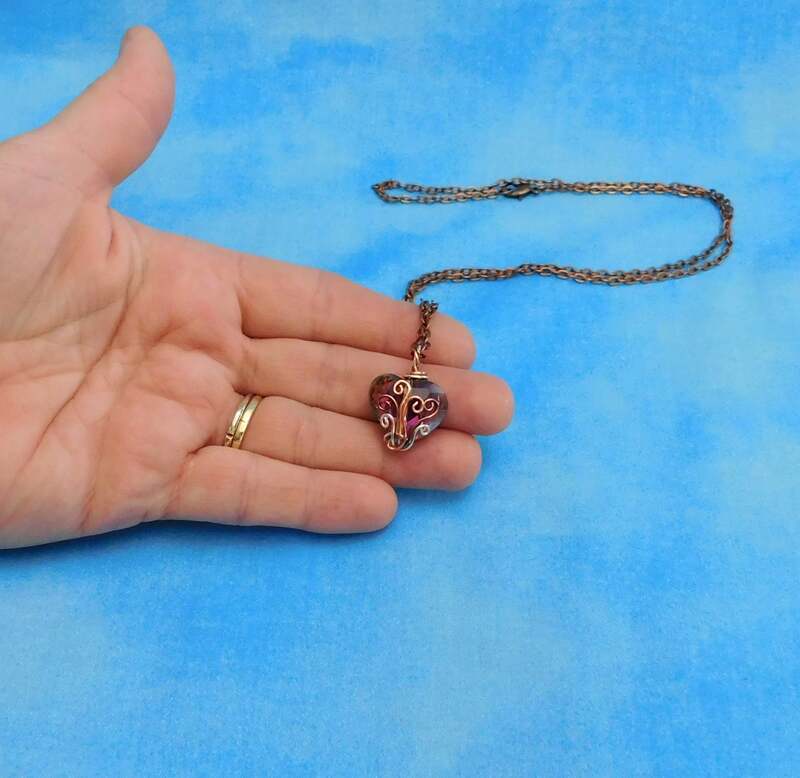 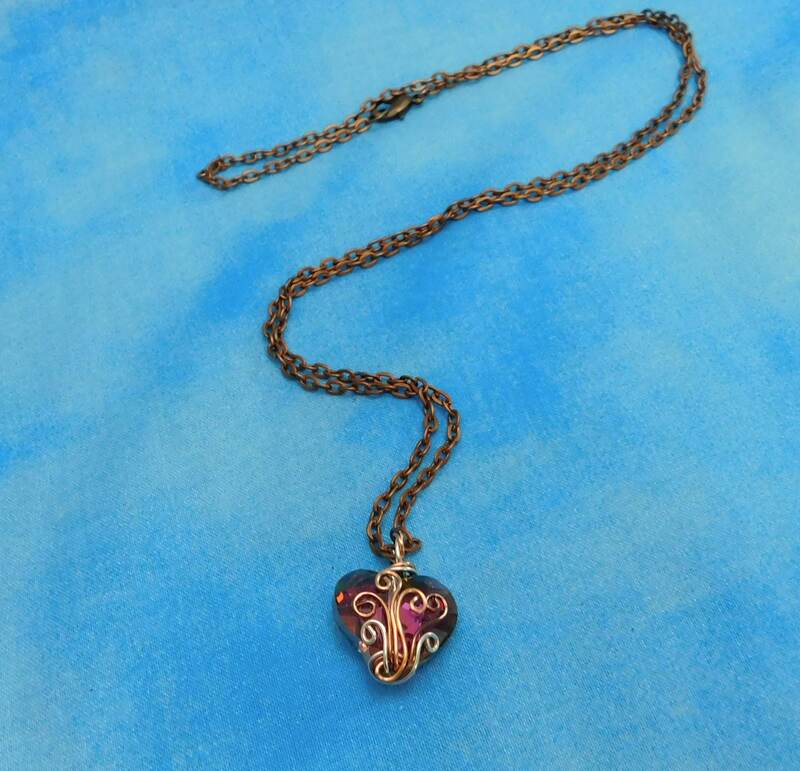 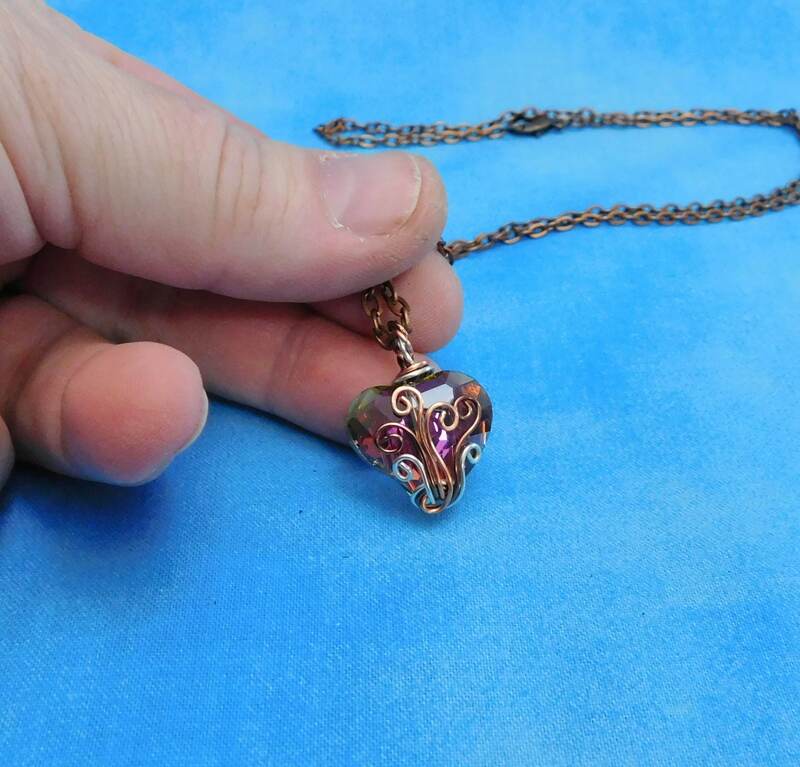 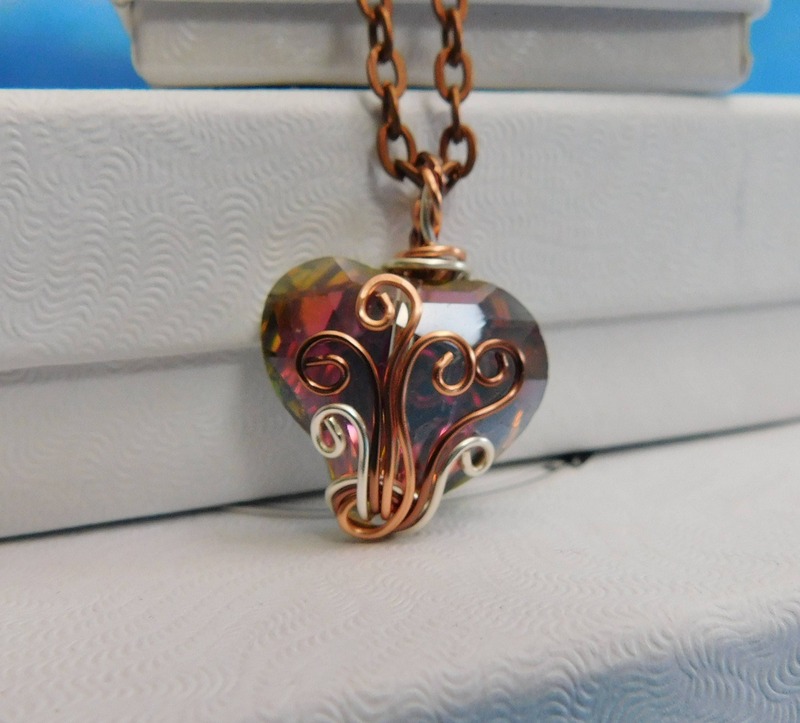 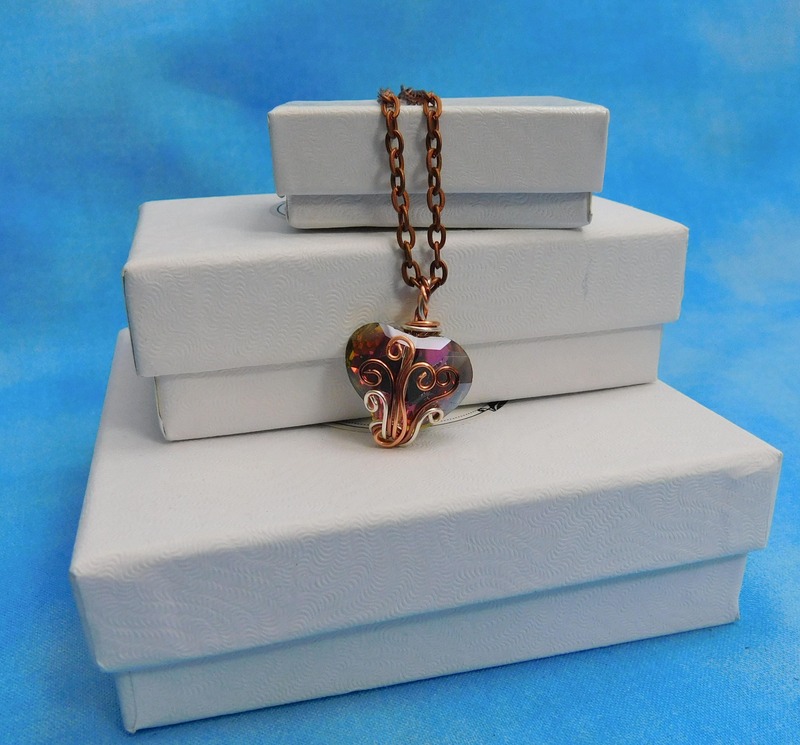 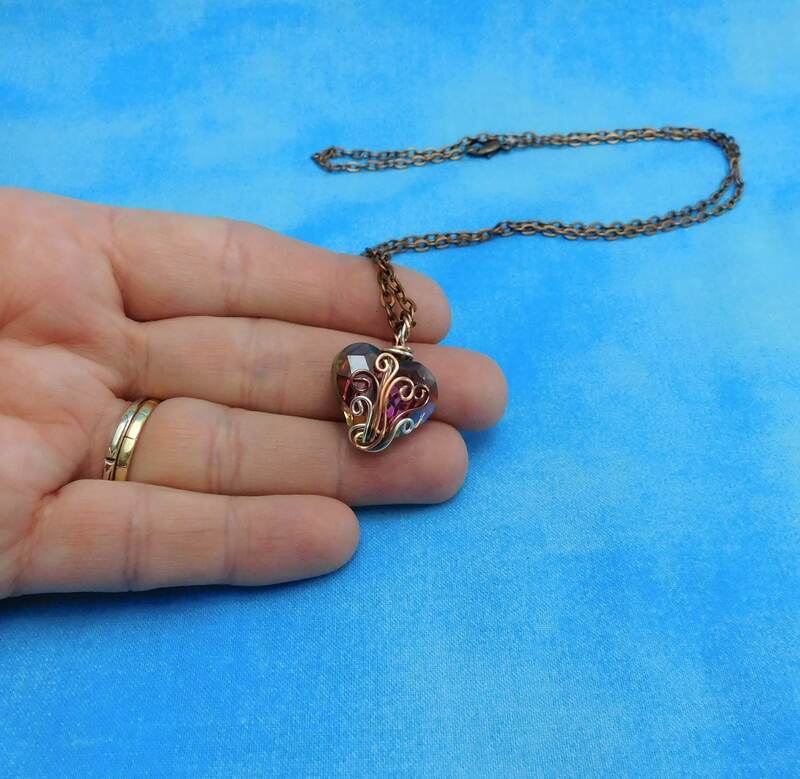 A 3/4 inch by 3/4 inch crystal heart is artistically wire wrapped with non tarnish copper wire, creating a uniquely beautiful accent piece. 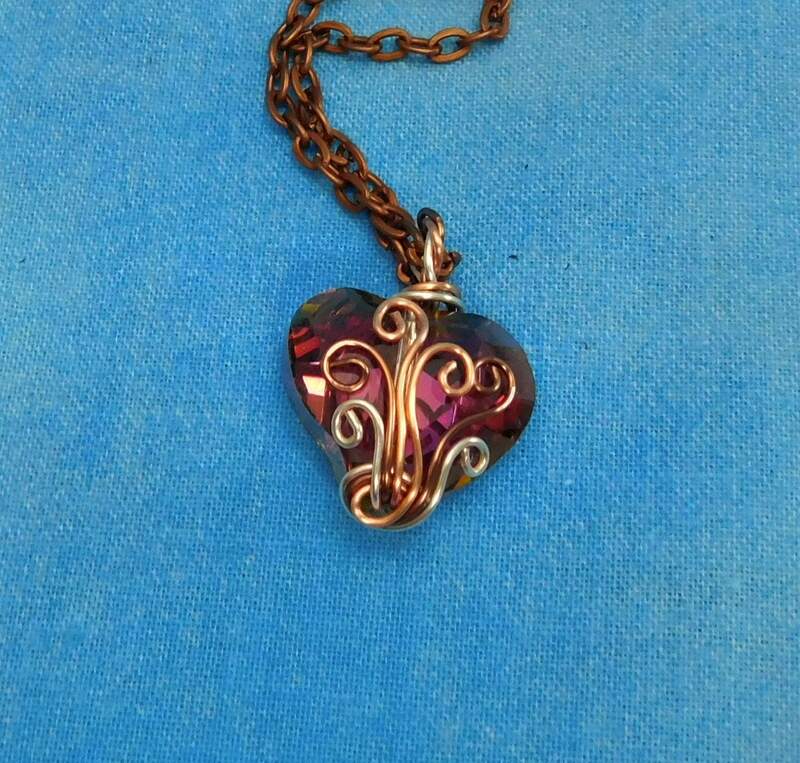 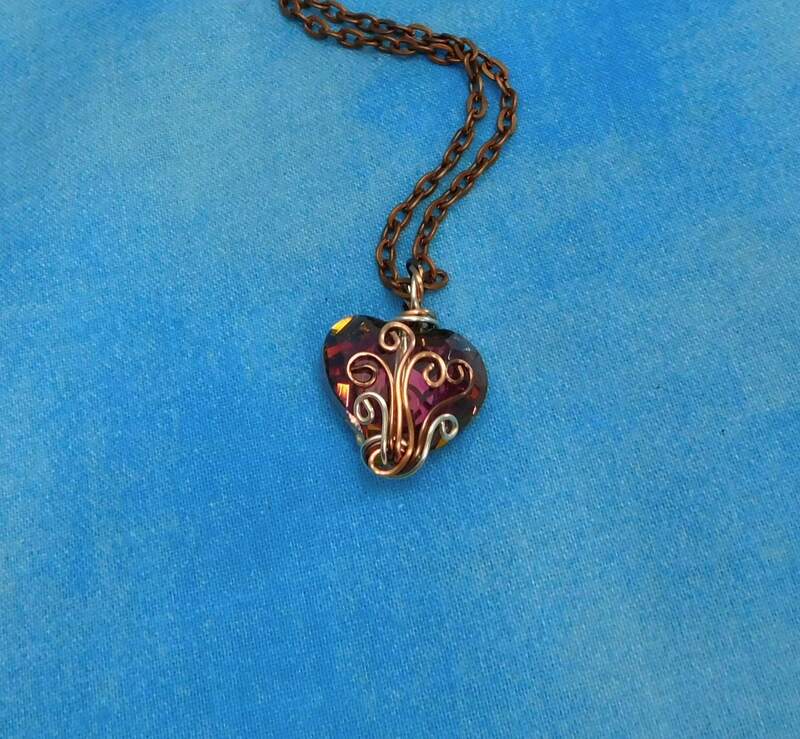 The unusual undertones of gold, copper, green, and blue, peek through the purple flash of this interesting heart. 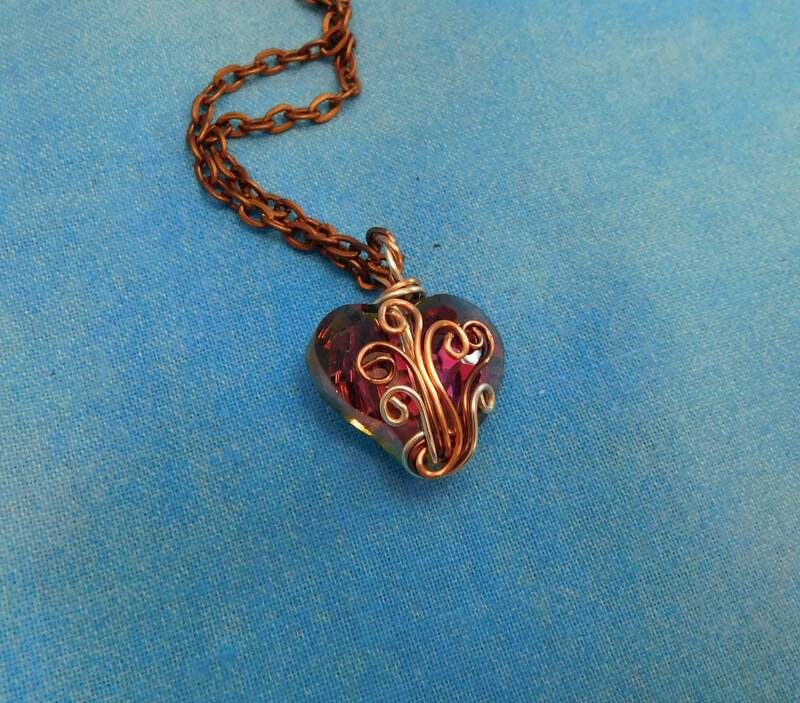 The copper and silver wire wrapped embellishment add warmth and interest, making this a truly one of a kind pendant.